Save your search - find out immediately when "Jonathan Smith" is available at auction! 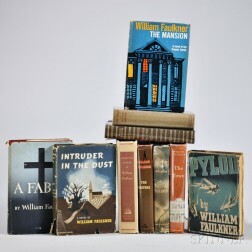 Faulkner, William (1897-1962) Ten First and Early Editions. Lawrence, D.H. (1885-1930) Signed Contract, 1 May 1929.